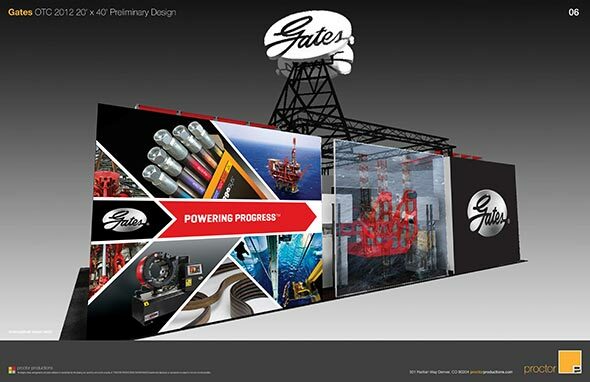 Gates is traditionally an OE and Aftermarket manufacturer of automotive belts and hoses, but they have entered the oil and gas industry and need to make a big splash. 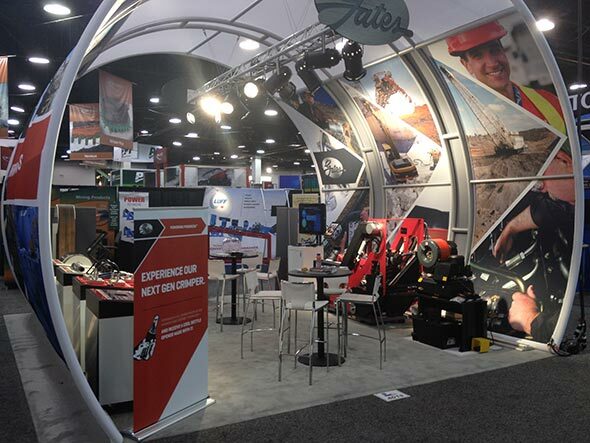 I designed this trade show exhibit for the MINExpo show in Las Vegas. The exhibit and their innovative products were the talk of the show! 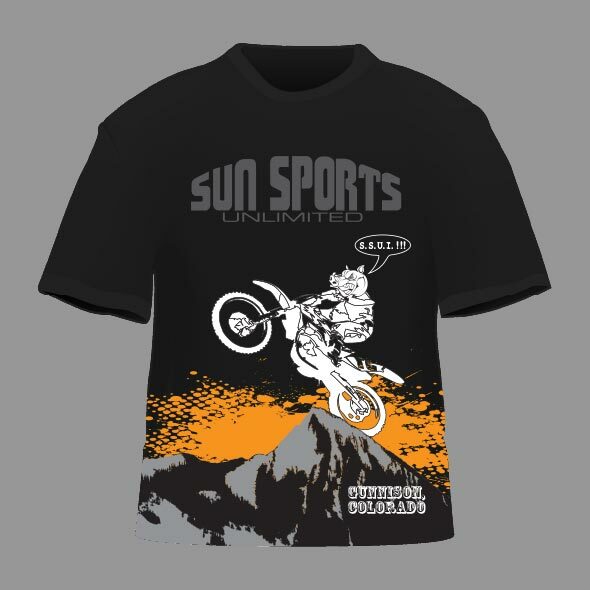 I designed this shirt for Sun Sports in Gunnison, Colorado. 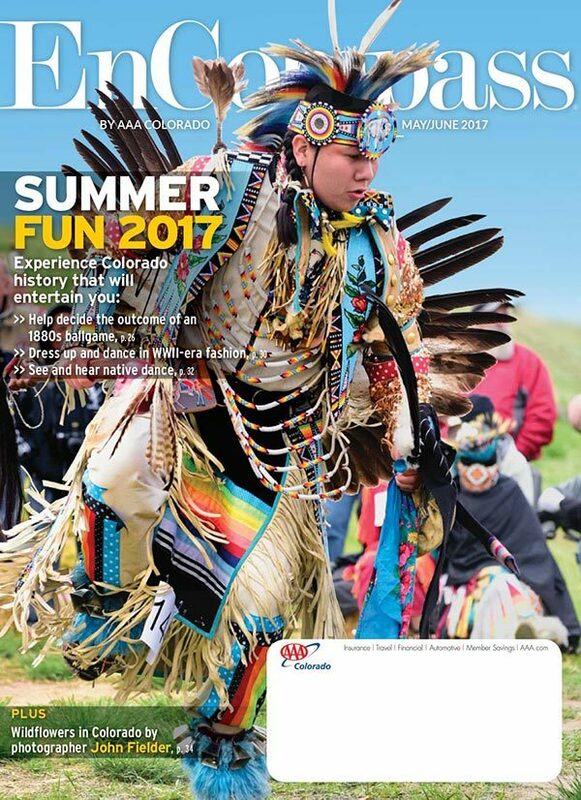 Customers that came into their shop had been asking for shirts to commemorate the memorable rides they experienced in the Gunnison and Crested Butte area. The previous post shows a lens cloth that was well received so Gates asked me to use a similar layout to create two large panes to adorn their OTC trade show booth. 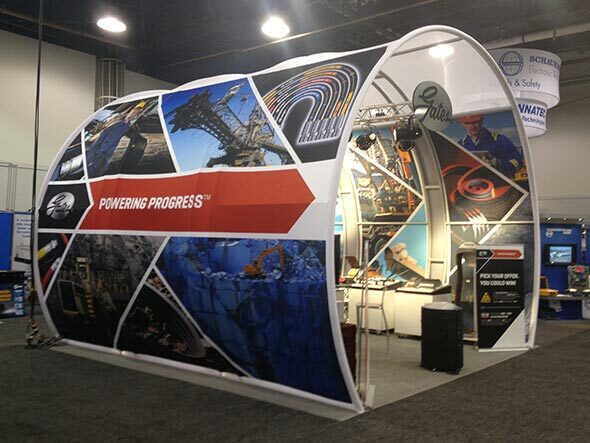 The mockup shown here and booth were constructed by Proctor Productions.